Does DAHLC conduct wellness research? Yes, we do! 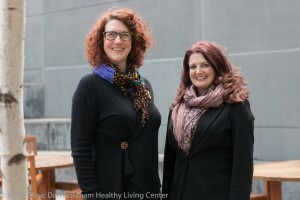 Our Alexander Technique (AT) instructor, Laurel Podulke, and Dr. Diana Orbelo (Department of Otorhinolaryngology) recently obtained a grant from the American Society for the Alexander Technique (AmSAT) to study the impact of AT on health and wellness. Discover collaborative research studies, scientific publications, project presentations, and volunteer opportunities at the DAHLC.